The #1 rex rabbits are very soft and luxurious. 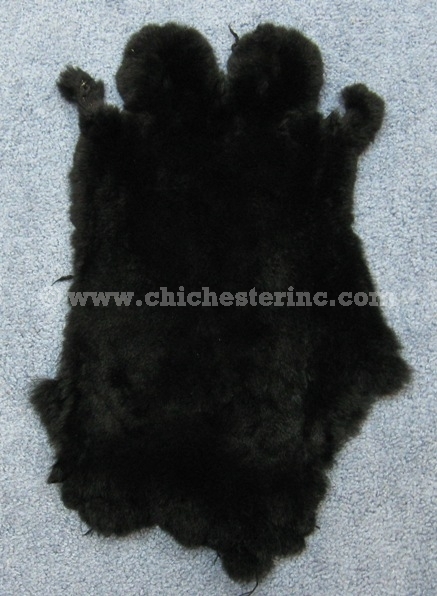 They are as soft as sheared beaver skins - but at a fraction of the cost! 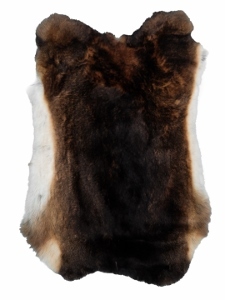 They are available in castor (beaver color), natural white, and dyed black. Our #1 skins are sorted into four sizes. Our Size AA skins are the biggest and the silkiest, while the rest is graded by size. Comparing AA to C, the former are skins that are nice, large, thick and plush, while the latter are smaller and not as plush. See below for more information on sizes. 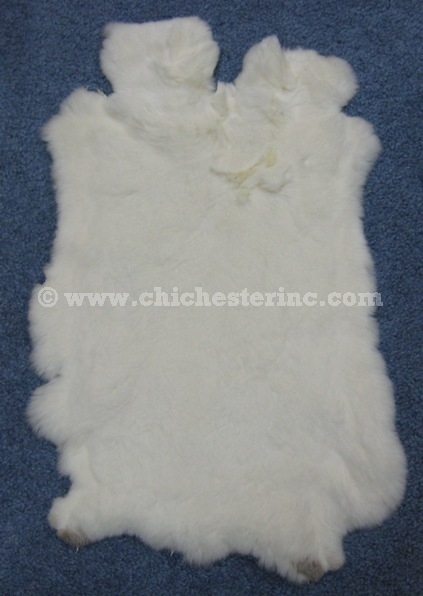 The #2 rex rabbits are available in natural white. They are not as nice in quality as the #1 grade. The hair may not lay as flat and the skins are not as full at the bottom, i.e. it may have a piece missing. These rex rabbit skins average 12" to 16" long and 11" to 14" wide. We measured a random Size AA skin and it was 16" long by 14" wide, weighing 0.3 lbs, while a Size C skin measured 12.5" long by 11" wide, weighing 0.2 lbs.